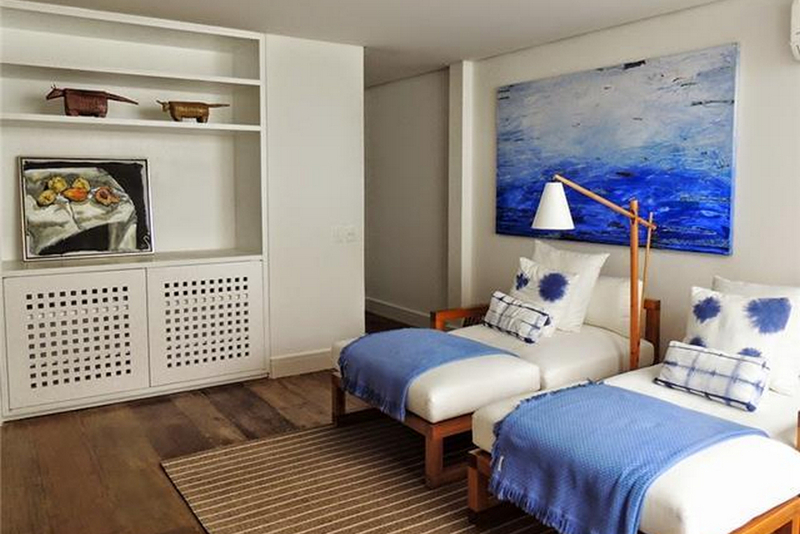 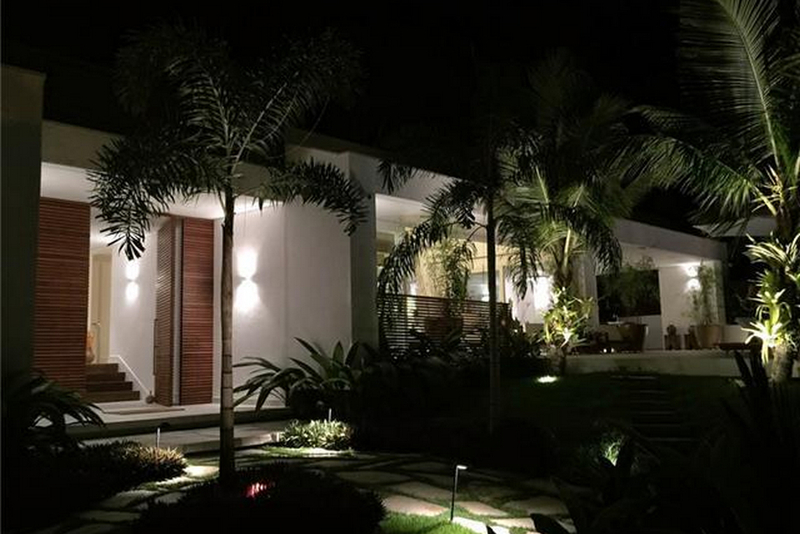 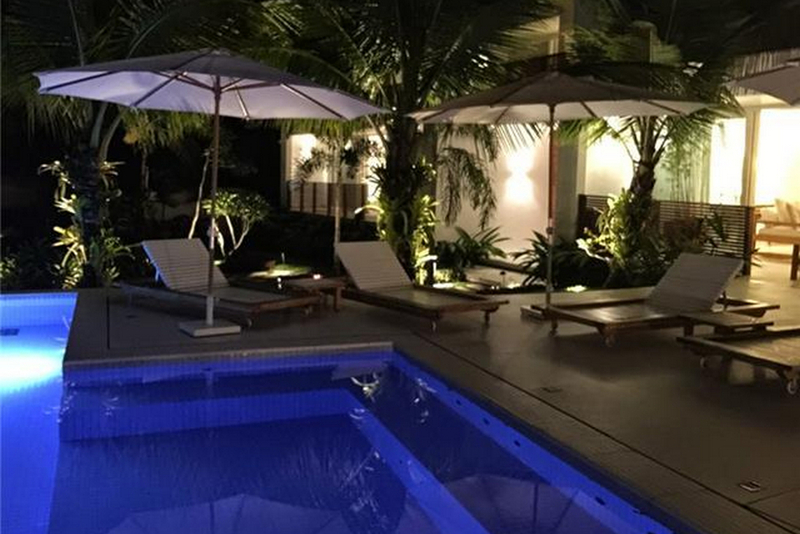 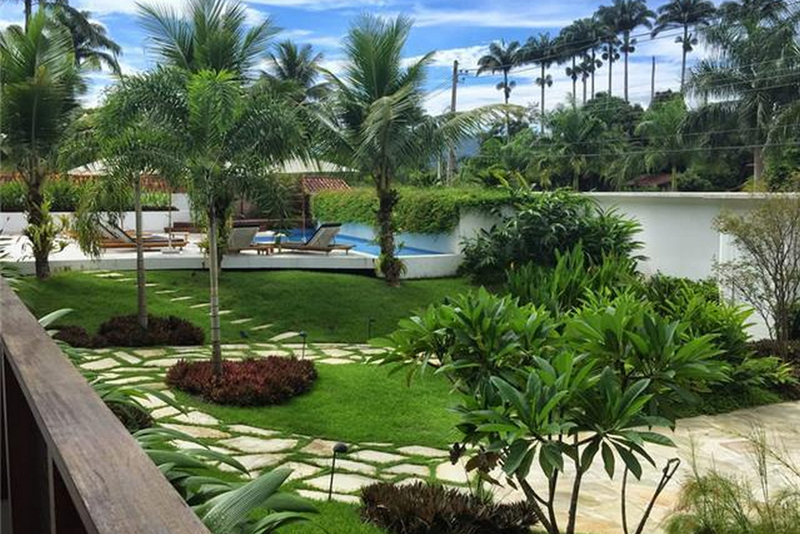 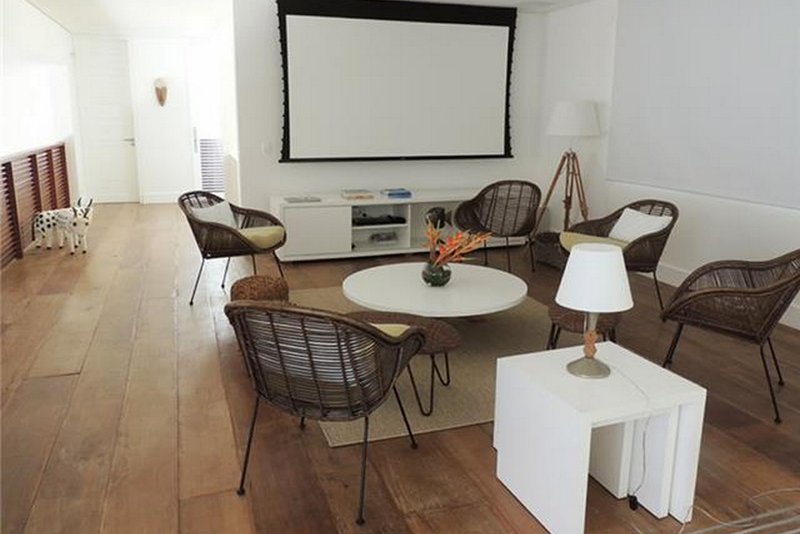 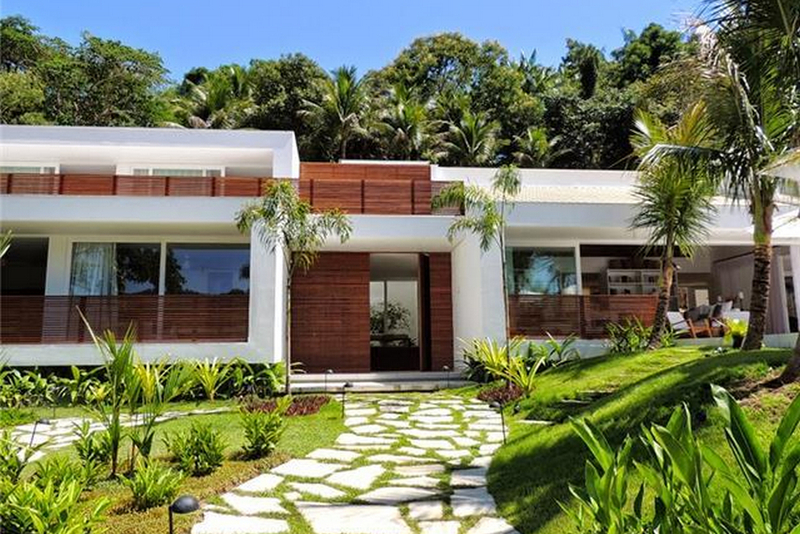 For those looking for tranquility in Paraty, and to enjoy the historic town which draws so many tourists here, this luxury villa is your ideal property. 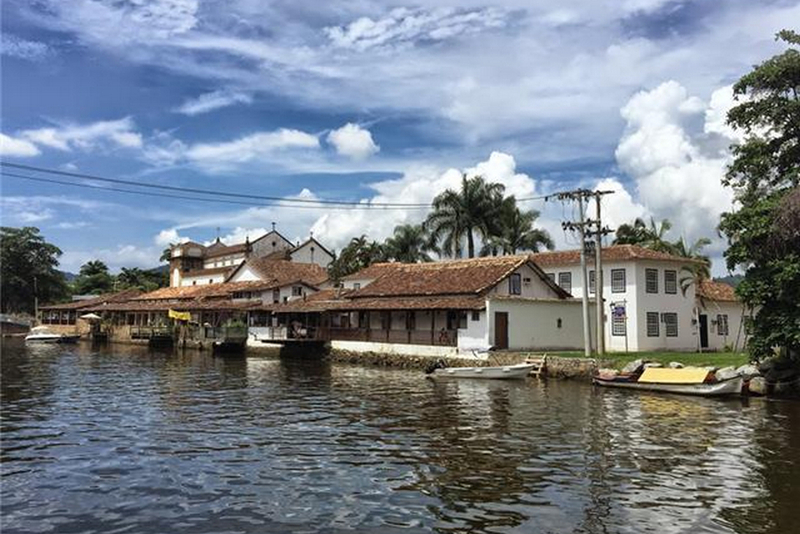 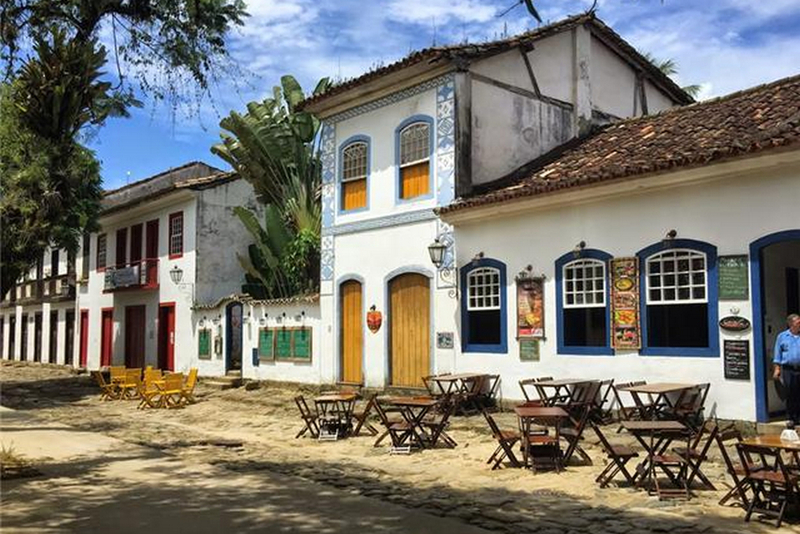 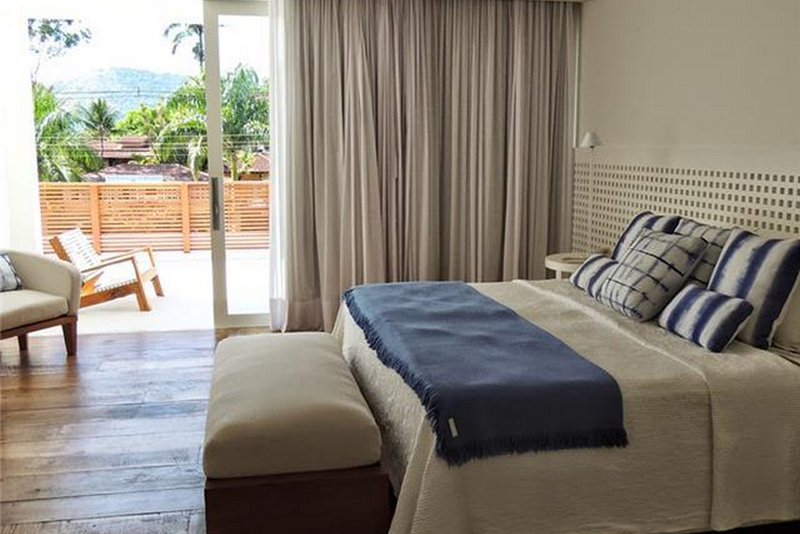 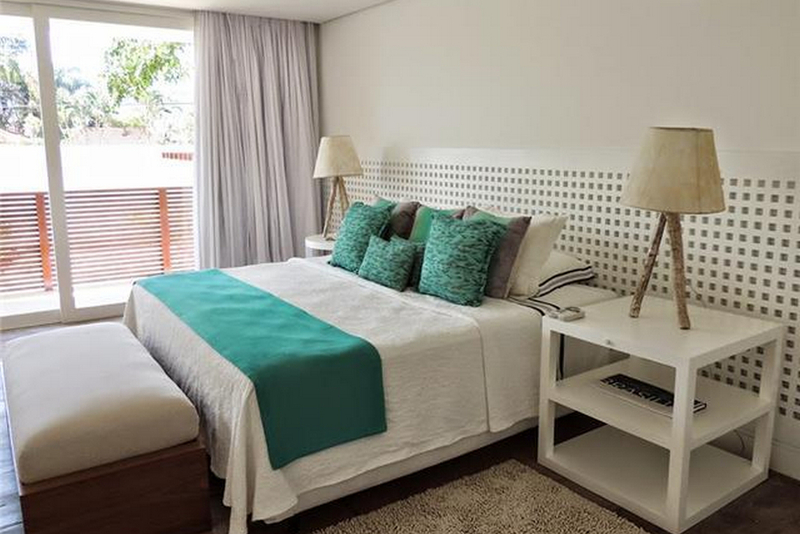 It is located within easy walking distance of the historic town centre, which is filled with quaint shops, art stores and restaurants, and is on the Perequê-Acu river, which gives the property a very serene and relaxed atmosphere. 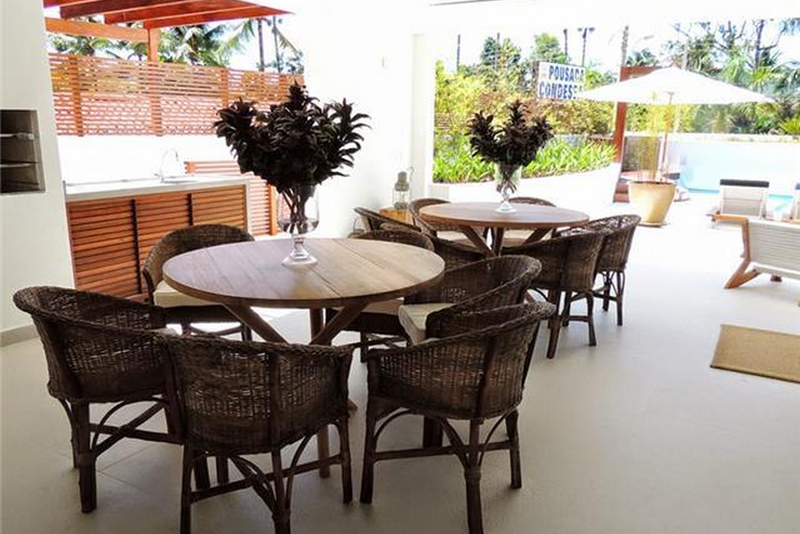 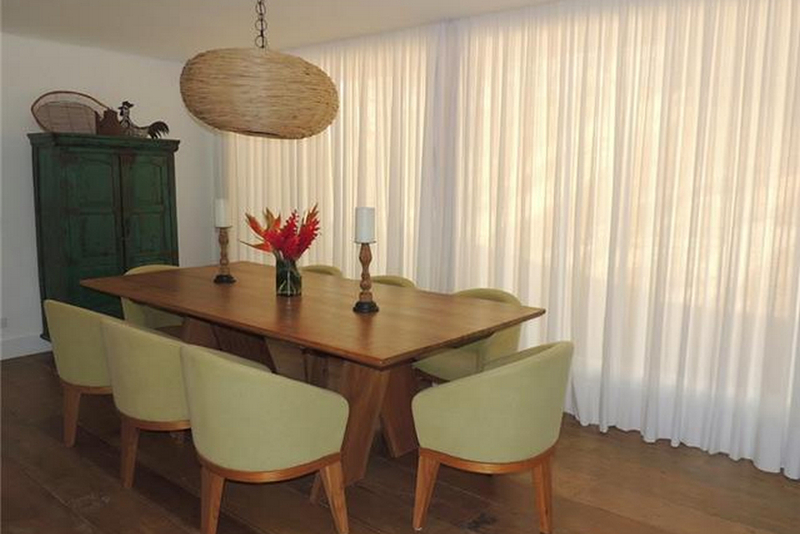 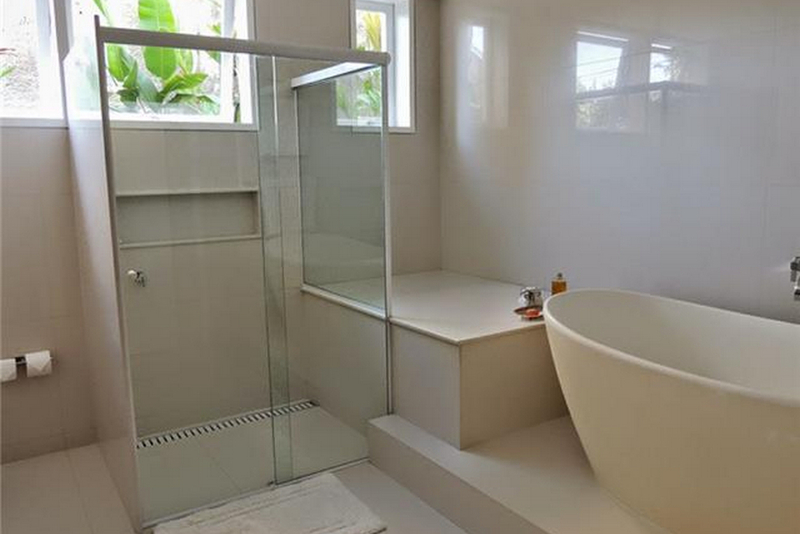 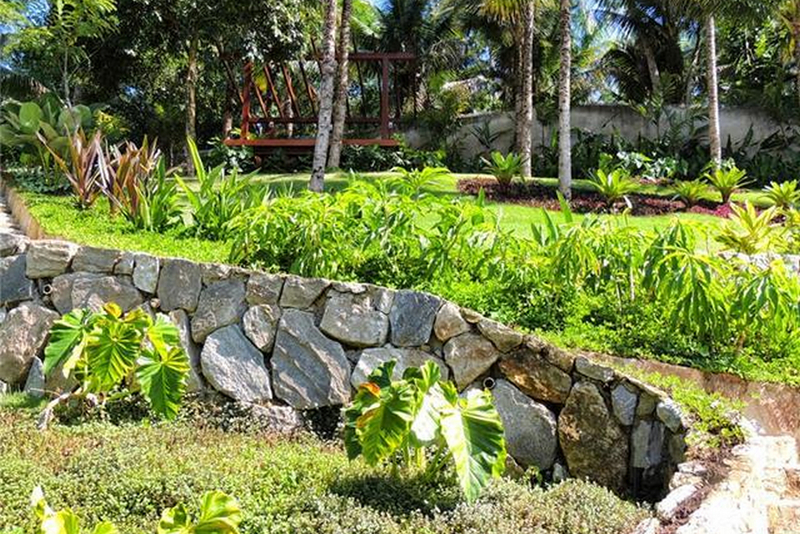 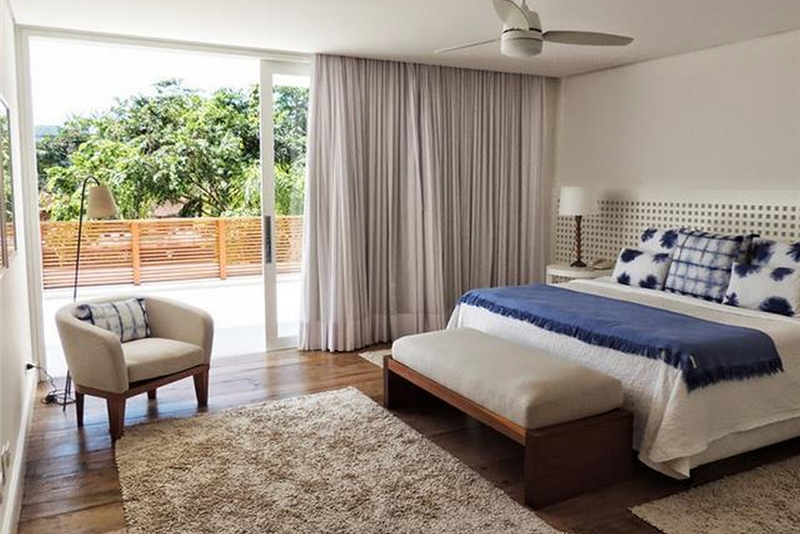 This home was just recently built and all 4 suites have modern air-conditioning and private balconies. 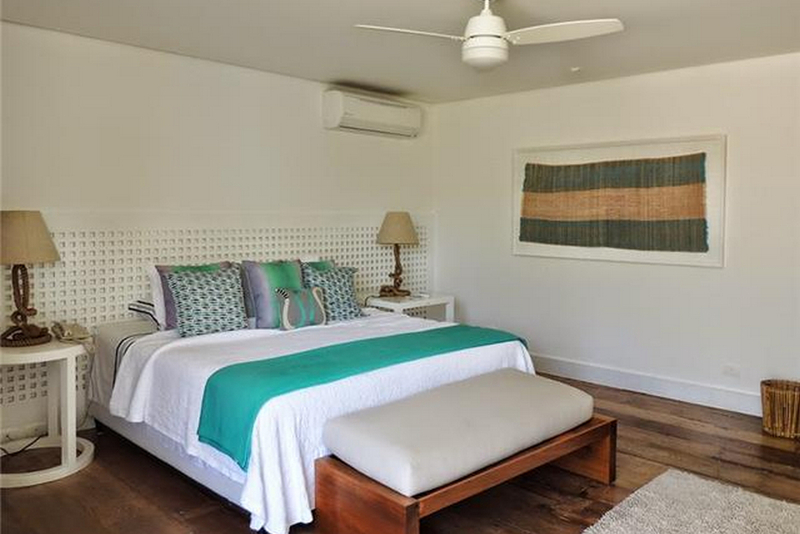 The bedrooms are finished in a light and fresh decor, with lots of light colours contrasted against the beautiful plank hardwood flooring. 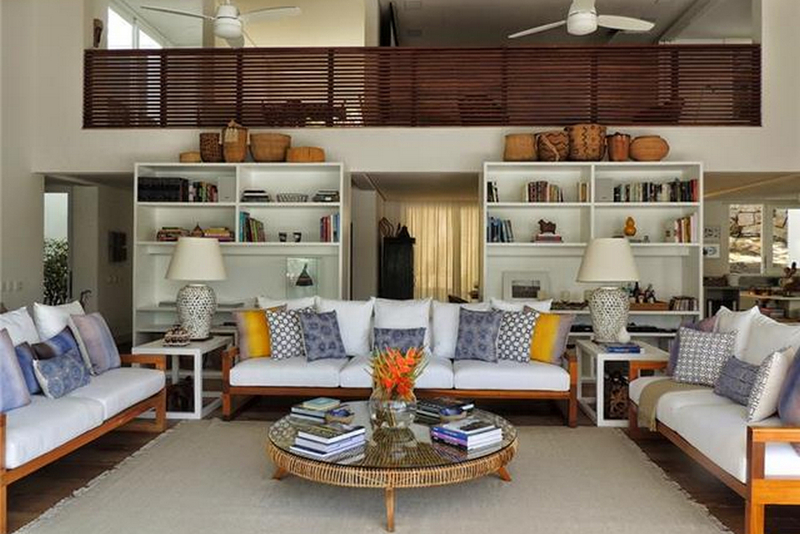 The main living area has been designed in loft style, where you can look down into the living room from the second floor. 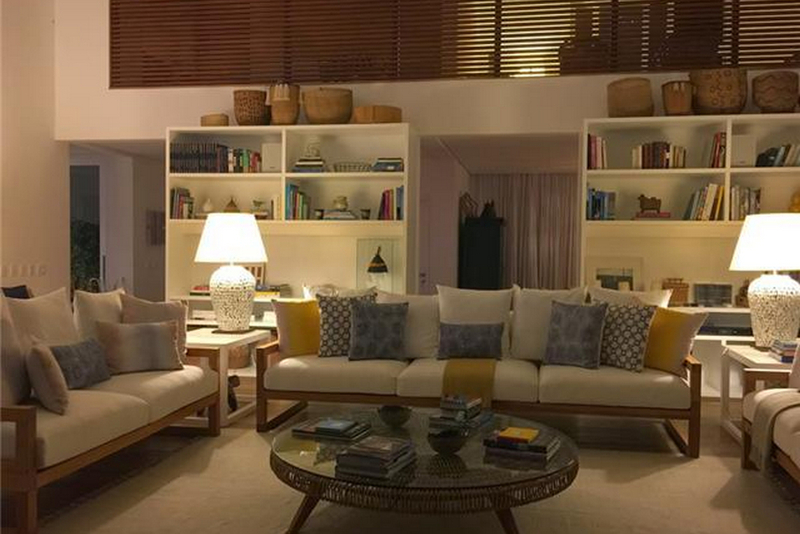 The living room is also finished with the beautiful plank hardwood floors, and the furniture perfectly matches the villa, as with it's hardwood, and plush pillows. 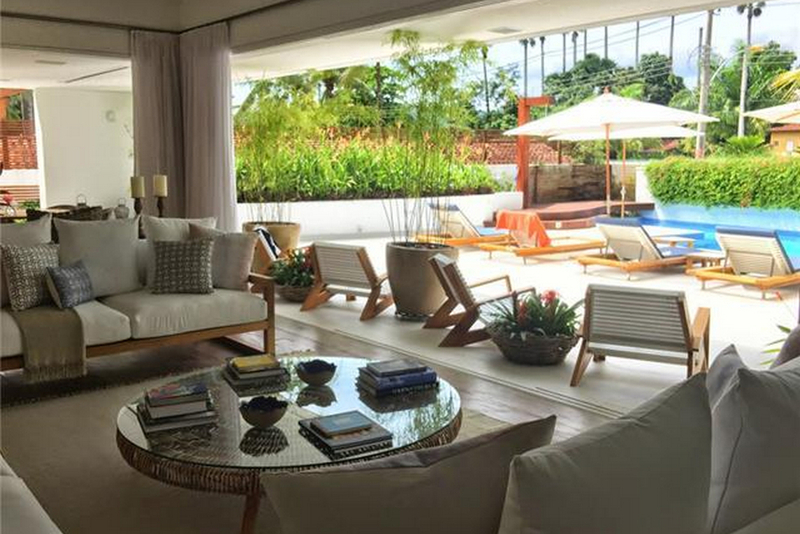 There are large sliding glass doors the length of the living room, which open to the great terrace with private pool, which makes for a great feeling of outdoor living. 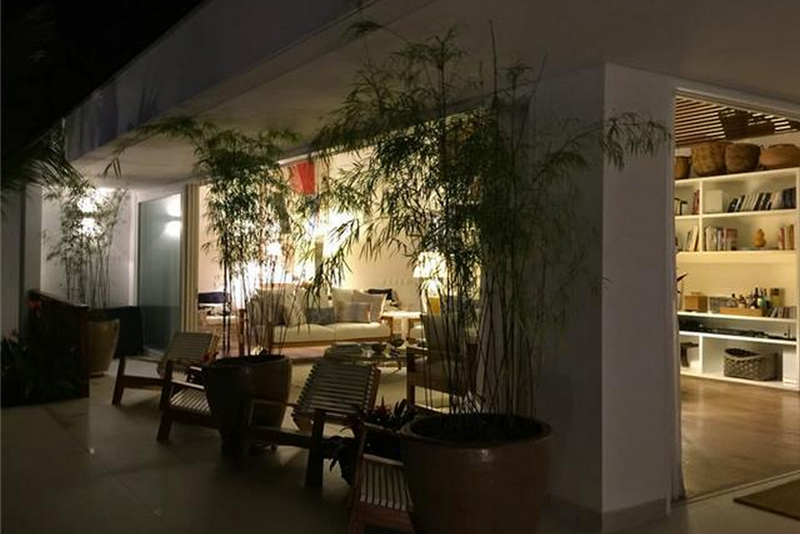 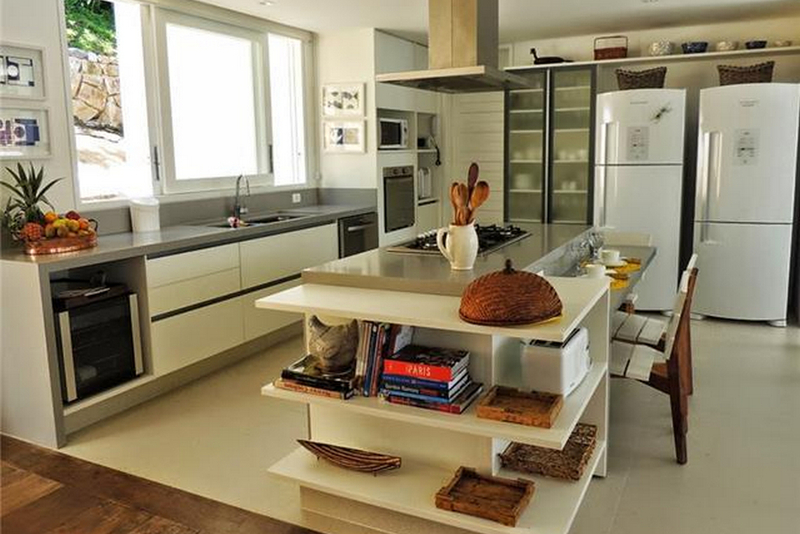 The kitchen is modern, with all amenities you would expect from a new renovation, and the dining room is complete with contemporary furniture, and the bathrooms are the best in modern design. 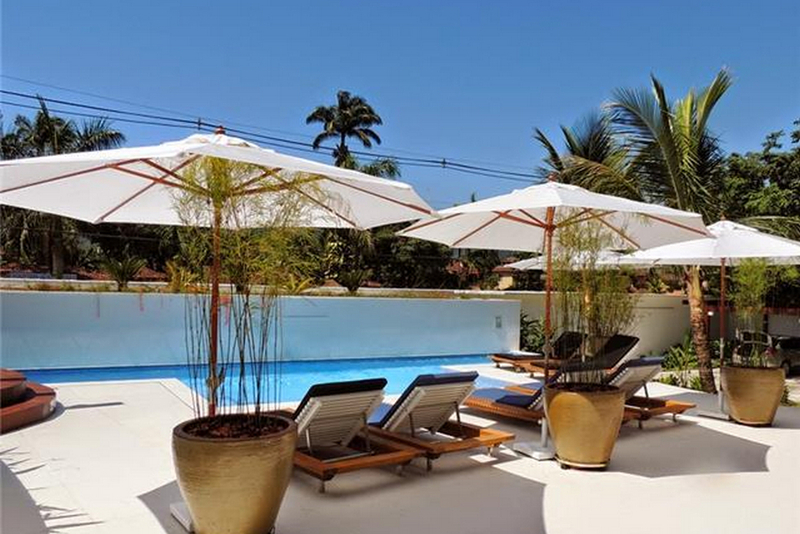 The outdoor area is where you'll likely spend most of your time at this villa, with it's private pool, BBQ area, large garden, and with comfortable lounge chairs and oversized sun umbrellas, to give you plenty of shade from the hot Brazilian sun. 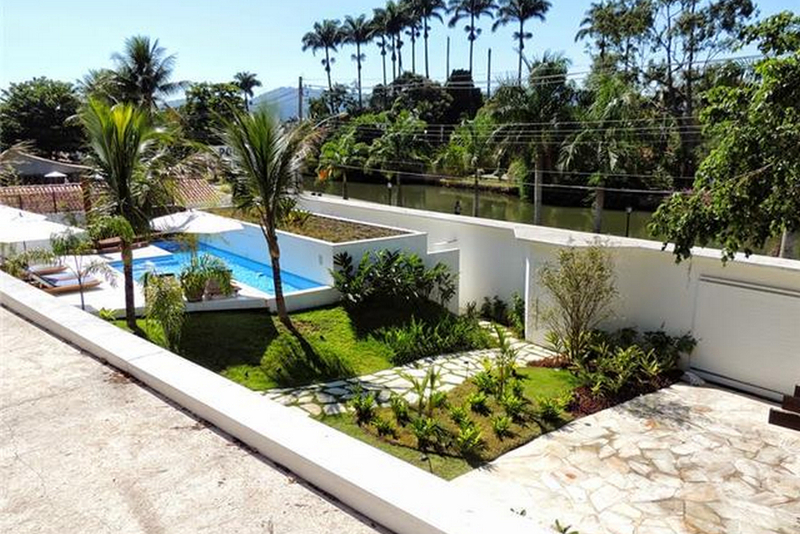 The villa is 650m2 in total area, on a plot of land which is 2000m2, so you have great space in this property, which is the ideal villa for your luxury stay in Paraty.